PARIS - Even as China struggles to curb domestic coal-fired power and the deadly pollution it produces, the world’s top carbon emitter is aggressively exporting the same troubled technology to Asia, Africa and the Middle East, an investigation by AFP has shown. The carbon dioxide emissions from these Chinese-backed plants could cripple global efforts to rein in global warming caused by the burning of fossil fuels — especially coal — analysts warn. “China is a world leader in terms of embracing the policy and investment needs to progressively decarbonize its economy,” said Tim Buckley, director of energy finance studies at the Institute for Energy Economics and Financial Analysis (IEEFA). Globally, coal use accounts for 40 percent of emissions of carbon dioxide and is on the rise after declining slightly from 2014 to 2016. More than two-fifths of the world’s electricity is generated by coal-fired power — nearly double the share of natural gas, and 15 times more than solar and wind combined. A quarter of coal plants in the planning stage or under construction outside China are backed by Chinese state-owned financial institutions and corporations, according to research by IEEFA, an energy finance think-tank based in Cleveland, Ohio. Remove India from the picture, and the share of coal development supported by China rises to above a third. “The risk is locking these countries into something that won’t be good for them in the long run, and that is incompatible with the Paris climate agreement’s temperature goals,” said Christine Shearer, an energy analyst for CoalSwarm and lead author of the research, which is slated for publication later this month. Many of the recipients of China’s largesse — Egypt, Nigeria, Kenya, Senegal, Zimbabwe and half a dozen others — currently have little or no coal-fired power, and no coal to fuel future plants. “That means they will have to build import infrastructure, or even coal mines,” Shearer said. The 2015 Paris treaty calls for capping global warming at “well under” 2 degrees Celsius (3.6 degrees Fahrenheit). A landmark report by the U.N.’s climate science panel warned last month that even the 2-degree target may not be ambitious enough to avert catastrophic impacts. With only 1 degree of warming so far, the planet has seen a crescendo of lethal heat-waves, flooding, drought and storm surges made worse by rising seas. 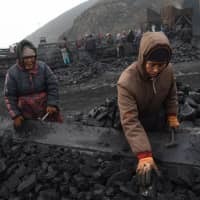 Yet Chinese banks and investment agencies have committed more than $21 billion to developing 31 gigawatts of coal-fired capacity in a dozen countries, and an additional $15 billion is on offer to support projects that would generate 71 GW in 24 nations, for a total of more than 101 GW, IEEFA found. Worldwide, there are nearly 2,500 coal-fired stations of 30 megawatts or larger in operation, with a combined capacity of about 2,000 GW, according to the Global Coal Plant Tracker. Any pathway to a 1.5-C world — even one that allows for “overshooting” the target and depends heavily on extracting carbon dioxide from the air — requires the near elimination of coal from the energy mix by midcentury, according to the U.N.
A “sustainable development” scenario laid out by the International Energy Agency (IEA) sees coal power dropping 60 percent by 2040. Coal use within China — nearly half the world total — has declined slightly in recent years, as has carbon emissions, though both are likely to tilt upward this year. In the rest of Asia, however, soaring demand for electricity has translated into a sharp jump in coal consumption. In Vietnam, Bangladesh and the Philippines, for example, electricity generation shot up more than 20 percent from 2014 to 2017 — triple the global average — with China-backed coal powering a significant part of the increase. 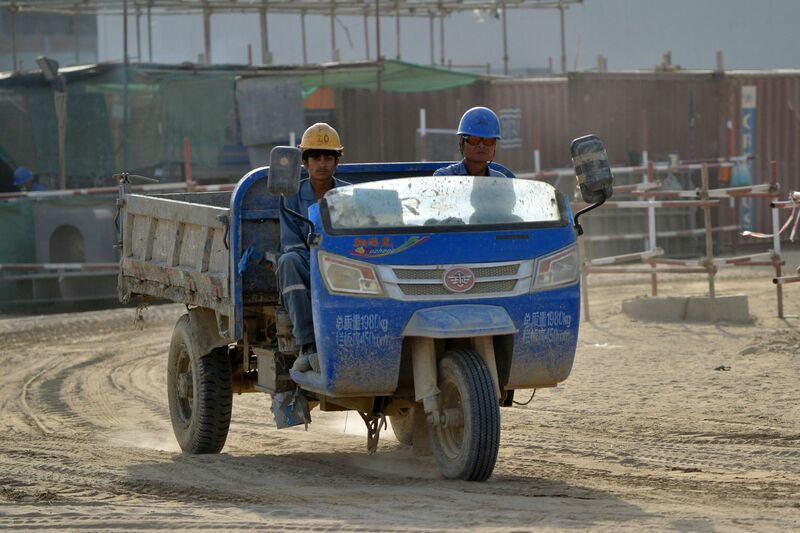 China is not alone in peddling the most carbon-intensive of fossil fuels beyond its borders. As of last month, South Korea and its export credit agencies were positioned to back 12 GW of coal-fired power abroad, and Japan was behind another 10, according to a research note from Han Chen, international energy policy manager at the Natural Resources Defense Council. During the 2013-2018 period, South Korea and Japan financed 8 GW and 20 GW, respectively. But their shares were dwarfed by China’s, whose financing covered as much power generation as Japan and South Korea combined. The three East Asian rivals supported 90 percent of the 135 GW built since 2013 or in the pipeline. “China is winning more bids, and Chinese firms are more willing to consider countries and markets with high risk profiles,” Chen said. All this external funding comes at a time when financial institutions in the rest of the world are starting to shy away from coal. Cheap solar and wind energy combined with mounting concern about climate impacts have cast a shadow over coal-fired power, raising the specter of stranded assets. At least 19 major insurers with more than $6 trillion in assets — 20 percent of the global total — have divested from coal, up from $4 trillion a year ago, according to a report this week by the Unfriend Coal Scorecard, which tracks divestment in the insurance sector. Insurers Generali, Lloyd’s, Hannover Re, AG2R La Mondiale and Groupama all announced new divestment policies this year. Investors, pension funds, export credit agencies and multilateral development banks — including the World Bank — have also pulled back, as have many private banks. 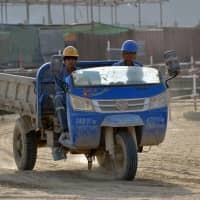 An analysis of China’s energy sector financing under its “Belt and Road” initiative — which seeks to boost $6 trillion in infrastructure across 68 nations — by the Washington-based World Resources Institute shows that very little went toward renewables. “Most Chinese deals from 2014 to 2017 in energy and transportation” — totaling $250 billion in loans and financing — “were tied to carbon-intensive sectors,” said lead author Lihuan Zhou, an associate at the WRI’s Sustainable Finance Center. China is acutely aware of mounting criticism of its drive to export coal-fired power, said Laurence Tubiana, CEO of the European Climate Foundation and — as France’s top climate negotiator — one of the main architects of the Paris Agreement. “Every conference, every discussion is about how to green the ‘Belt and Road’ initiative,” she said upon returning from a round of meetings in Beijing. Domestically, the barriers to rapidly drawing down coal use — despite a cap on coal production — are evident. 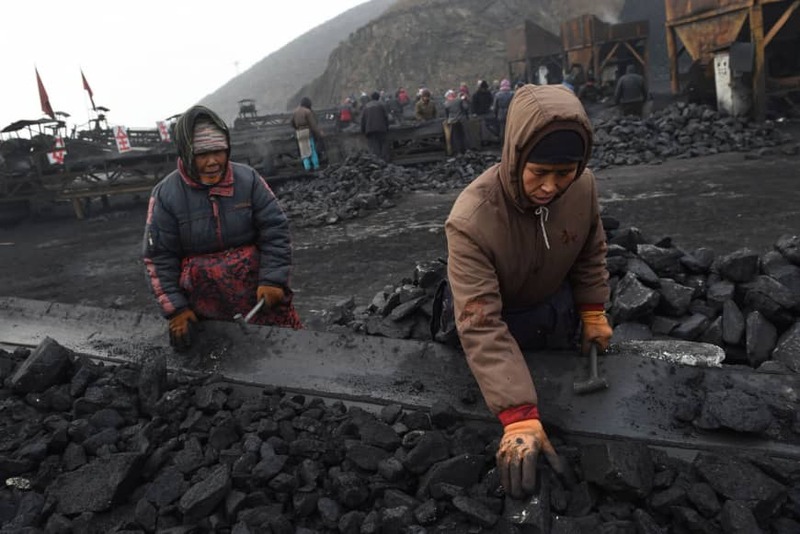 “China has built up an enormous coal-power generation industry — workers, companies, technology manufacturing — and now they have a lot of surplus,” said energy analyst Shearer. But a dozen experts interviewed for this article pointed out that — outside its borders — Beijing could opt for a different path. Several coal-fired projects in the pipeline financed by China have met fierce resistance. Three — the Sendou plant in Senegal, the Rampal project in Bangladesh and the Lamu plant in Kenya — are in countries where little or no energy is currently produced by coal. The Sendou and Rampal developments are in coastal areas where local communities have already been devastated by climate impacts. “China has to choose whether it will offload abroad what it is trying to leave behind at home, or secure a far bigger market share over the next few decades in clean energy,” said Renato Redentor Constantino, executive director of the Institute for Climate and Sustainable Cities in Manila.